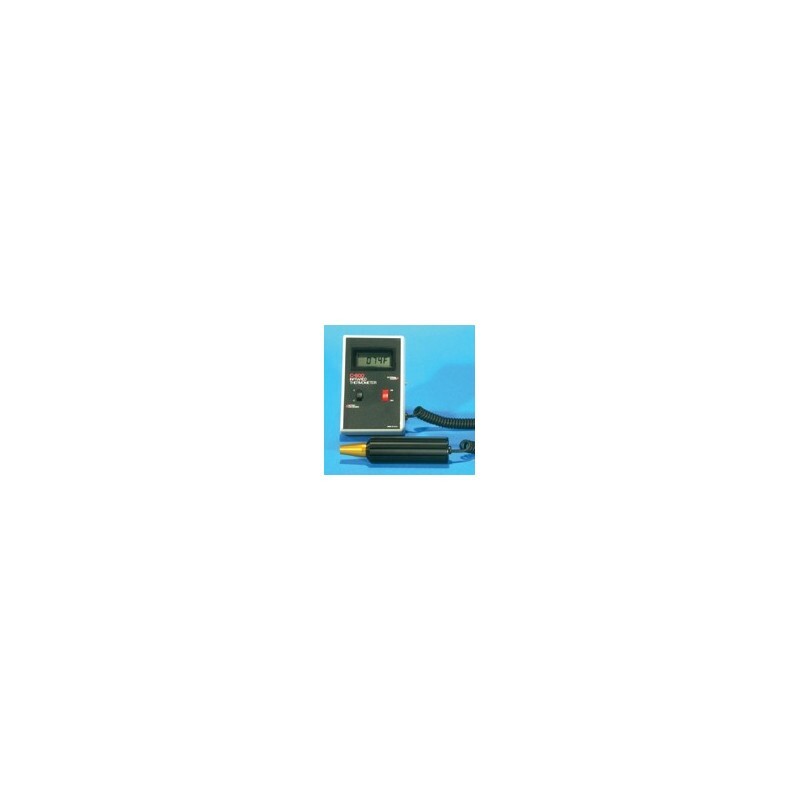 The DIGITAL THERMOMETER is a self-contained, battery-operated infrared thermometer. 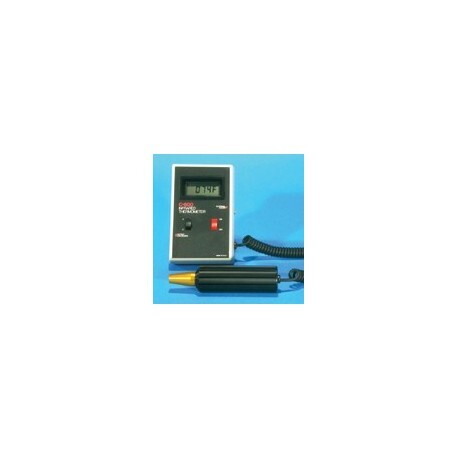 Ideal for reading substrate temperature as stock exits cure chamber, it has a range of 0-600F (0C - 315C). Permits focused measurements from as close as 1/4" (0.6 cm) from the source. Offers distance to target ratio of 3:1. With an accuracy of +/-1% of reading plus one digit, it incorporates a passive sensor for measuring radiation within 1 second so thermal patterns and transient phenomena can be observed. Features 3-position switch on display unit for on/off, 1 second response time, and displays F/C.